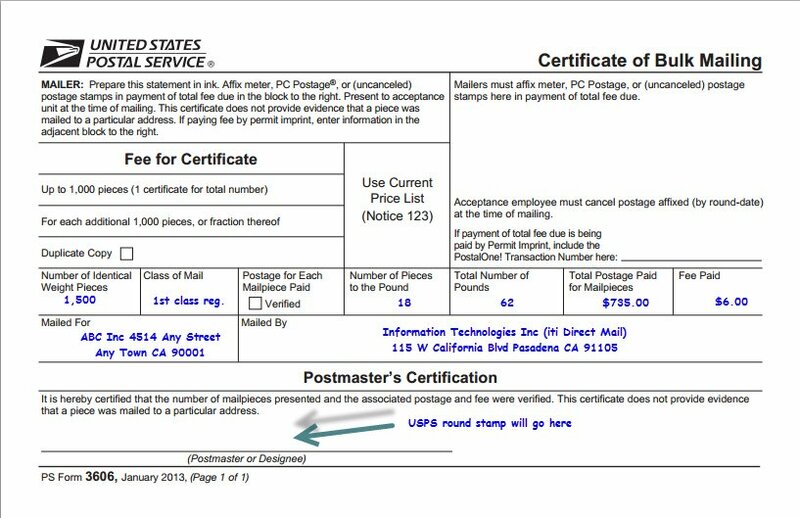 A Certificate of Mailing (form PS 3606) which is a proof of mailing will NOT be provided unless you order one. Please order the correct quantity of certificates, if your order is being split into multiple drops. E.g. if your order is being staggered into 2 drops, then youâ€™ll need to order 2 certificates, if youâ€™d like a certificate for each drop.